History of OIC of America, inc. 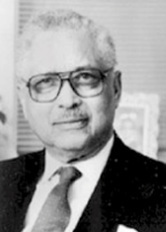 In 1964, Reverend Leon H. Sullivan founded Opportunities Industrialization Centers of America, Inc. (OICA). Today OICA is a national non-profit network of employment and training programs bound together by a common commitment, to help the disadvantaged realize their true potential. With forty-four affiliated programs and twenty-two states and the District of Columbia, OIC has grown into a movement, one which has served over two million disadvantaged and under-skilled people. The first OIC training center was in an abandoned jailhouse in North Philadelphia. The dilapidated building was renovated using donations from people in the community and an anonymous grant. The private sector lent its support by contributing equipment, machinery and providing the organization with technical assistance. Our local chapter of Opportunities Industrialization Center (OIC), here in Anne Arundel County, Maryland, was founded in 1978. The founding of OIC of AAC stemmed from the concern of our citizens about the plight of unemployed and otherwise economically disadvantaged persons. 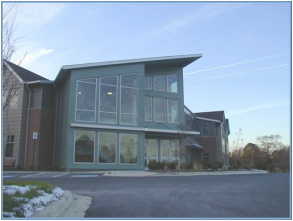 OIC is truly a community partnership, with the support of the City of Annapolis, Arundel Community Development Services, business groups, civic groups, foundations and private individuals all contributing to the technical, financial and volunteer support of the center. Our Staff, Board, Friends and Volunteers believe fervently in OIC’s value to individuals and the community; all of us are committed to helping as many people as possible escape the downward spiral of poverty. We continue to reach out to all segments of the community to partner with us in supporting our economically disadvantaged neighbors. The Arundel Lodge, where OIC of AAC is currently located. We aim to provide training and job placement services to low-income persons. Opportunities Industrialization Center of Anne Arundel County believes in the capacity of all individuals to grow and become self-reliant, if provided job skills, life skills, and proper motivation. Ms. Hoover's math class hard at work. A philosophy of “Self Help” and the system of developing the “whole person” enables individuals to become self-sufficient, productive workers. OIC prepares people for today’s workforce with quality life skills development, fundamental education, job skills training, and employment readiness.